Cómo pasa el tiempo. Parece que fue el otro día cuando anunciábamos que en Bilbao se iba a celebrar una de las pruebas del campeonato mundial de SUP. Pues fue en marzo y este fin de semana de junio se está realizando la prueba de esta curiosa especialidad deportiva en Bilbao. 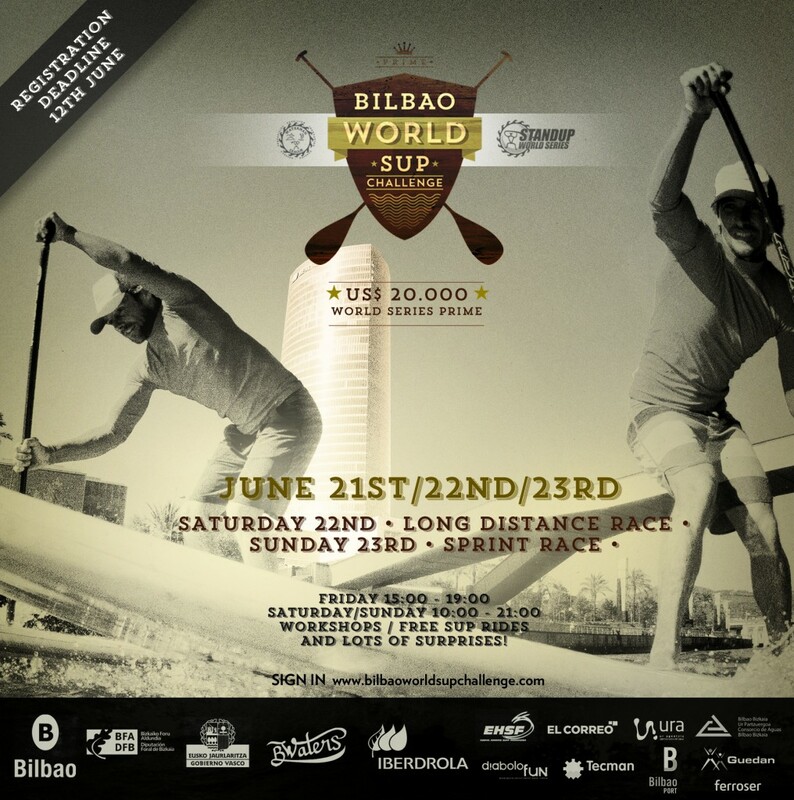 he Basque Country in Spain will host the Bilbao World SUP Challenge this weekend in its dramatic City Center of Bilbao. Opening on the 21st June, this coming Friday, competition will begin in earnest on Saturday 22nd with the long distance race set against the backdrop of one of Europe’s most striking Cities. This will then be followed by the iconic World Series Sprint Racing that will draw in the crowds on the Sunday, bringing some of the most dramatic spectacles in the sport to this equally dramatic City.